SolWMPLibraryViewer is a simple Windows application to view a tree structureof of Winodws Media Library and the properties of a Windows media. 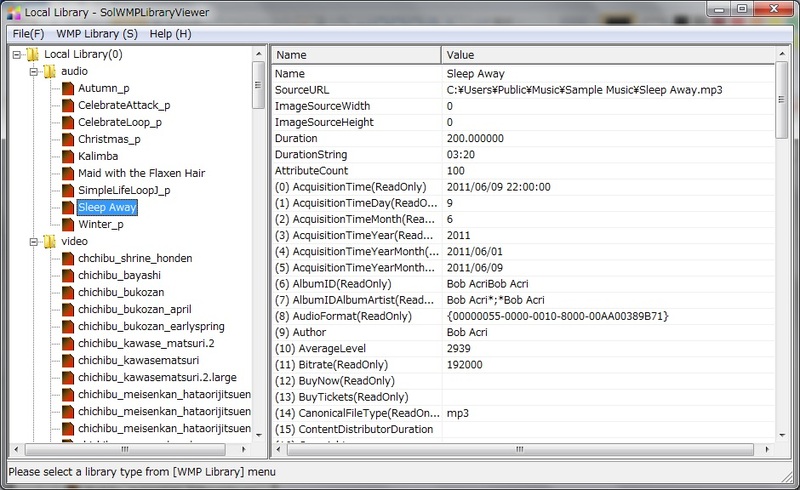 SolWMPLibraryViewer can be used to view properties and attributes of a Winodws media of types (audio, video, photo and playlist) registered on WMP Libraries(Local, Disc, Remote and Portable Device). 1. 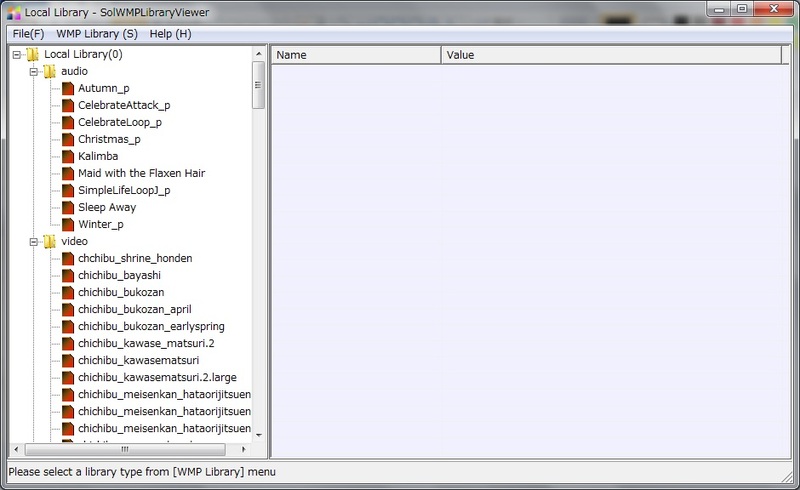 Run SolWMPLibraryViewer program on your desktop, then a Windows window will be displayed. See Figure 1. 2. To view a tree structure of a Windows Media Library, select a library type from a pulldown menu for [WMP Library] menu. See Figure 1. 3. To display properties and attributes of a Windows media, select a media name in a left treeview. See Figure 2.